Windmill Harbour is a wonderful place to live. Convenient to Bluffton, Savannah, and Hilton Head Windmill Harbour offers unparalleled views of the Intracoastal Waterway. 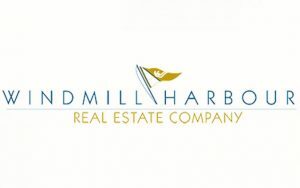 Windmill Harbour features a vast array of real estate options in a wide range of prices. More importantly, Windmill Harbour has a genuine sense of community. With the optional club membership, Windmill Harbour residents can customize their involvement, and their costs, in the amenities, found at Windmill Harbour. Windmill Harbour is just minutes away from the public school campus and several private schools, as well. Hilton Head Hospital is also less than 10 minutes away as are a wide variety of restaurants, shopping centers, and golf courses. Air travel is conveniently accessible from the Hilton Head Regional Airport, and Savannah/Hilton Head International Airport and each are just a 15 and 45-minute drive, respectively.